TwoHeadedBoy wrote: Saw this last night, how could they've got it so wrong?? FAR too much Holly Willoughby. How can you ever have too much Holly willoughbooby ??? Don't get me started on her - the most punchable face on television! I mean outside of the political shows, obviously. And the majority of comedians. Wouldn't waste your punches on Holden, so much Botox she wouldn't feel it. True, true, true... Shouldn't be punching folk anyway. I'll drop a sea lion on top of her instead. TwoHeadedBoy wrote: Don't get me started on her - the most punchable face on television! 2. Are you blind ??? She's Hot as hell . 1. Punching's already been withdrawn in the above post, replaced with a sea lion. 2. Not blind, but also she doesn't appeal to me in any way, shape or form! It's the personality as well, and the jobs and TV shows she does, and EVERYTHING else. Every time I see her I just think of morning blandness with Philip Schofield or screaming idiots on Celebrity Juice. This was recently repeated again and I watched it a 2nd time! In my years of watching CITV (1985 - 1994), there were just so many amazing shows! Knightmare, Thomas The Tank Engine, Round The Bend, Let's Pretend, Count Duckular, Ghost Train, You're Mother Wouldn't Like It, The Tomorrow People, Erasmus Microman, Rainbow, Button Moon, Puddle Lane, Orm & Cheep, Danger Mouse, Portland Bill and many more I just adored and still have a lot of them on VHS! I really think the 80s were the best time for Children's TV in general and not just CITV! Though 95% of what I watched was on CITV! 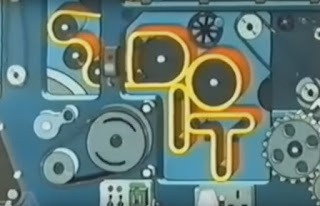 But watching this back again I felt it moved far too quickly and for a 30th anniversary special 1 hour was far too little to really celebrate CITV! However, they did give us a whole weekend of classic shows, so we can't complain too much!! Naitch wrote: But watching this back again I felt it moved far too quickly and for a 30th anniversary special 1 hour was far too little to really celebrate CITV! I saw the original weekend - was there also a one hour special that I missed? The one hour special was on normal ITV on the Monday before hand I think, interviews with the old face of TV, like Ant & Dec, Sooty, Ant & Dec, Pat Sharp, Ant & Dec somemore Nice and nostalgic a bit top heavy on Ant & Dec, but then they did do an awful lot of popular stuff even back then too, so they kinda deserve it. I didn't even know they were on Gimme 5 at the time. Gimme 5 replaced Ghost Train, which I was fairly angry about so never really gave it the time of day. Nobby the Sheep was there, but where was Trap Door, Ghostbusters and Barry Mafia?? I'm not sure of this "Ant and Dec" you speak of. Did PJ and Duncan make an appearance on it? Hmmm...this seems like a decent place to put this..
Well, here's a link below to some scans at my blog of one of those supplements! A few clips from the show there too! greenberet79 wrote: I'm not sure of this "Ant and Dec" you speak of. Actually, yes, they did. The very last show Ant & Dec did for CITV featured a viewer's vote that ended in all the presenters and guest bands joining in a performance of Let's Get Ready to Rhumble.